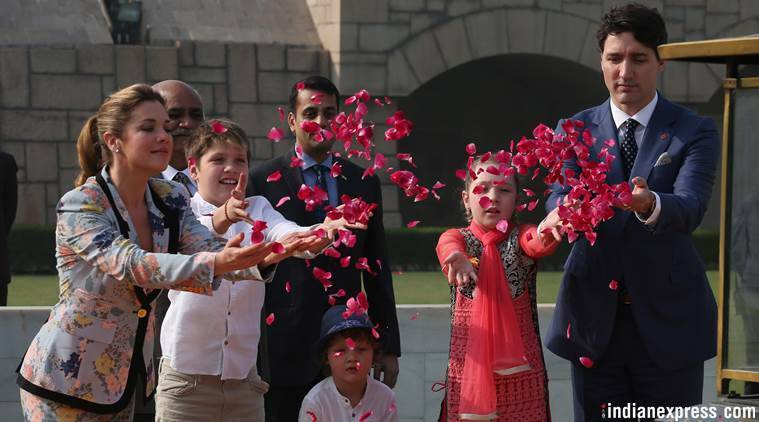 Trudeau described the meeting as “productive”, and called India a “natural partner” and a “trusted friend” on economic cooperation. In his remarks, the thrust was on the economic relationship. Trudeau made no mention of the challenges that terrorism, extremism and separatism pose. 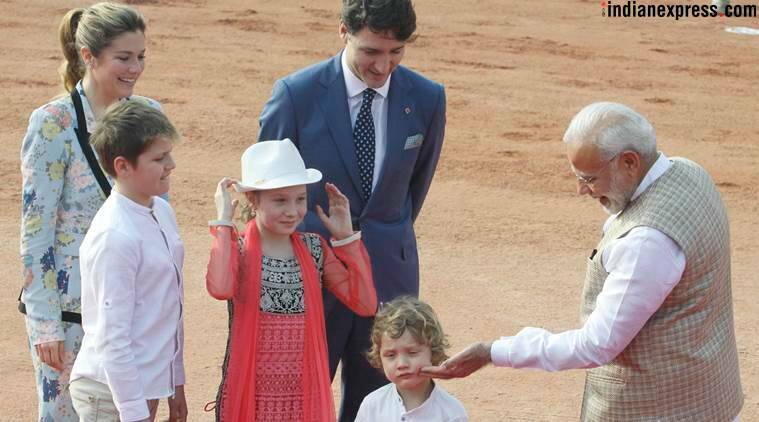 Sending a clear and firm message to visiting Prime Minister Justin Trudeau over his government’s perceived soft stand on pro-Khalistan elements in Canada, Prime Minister Narendra Modi Friday said “those who try to use communal sentiments and want to build separatist divides… who want to challenge our country’s sovereignty, unity and integrity” will never be tolerated. 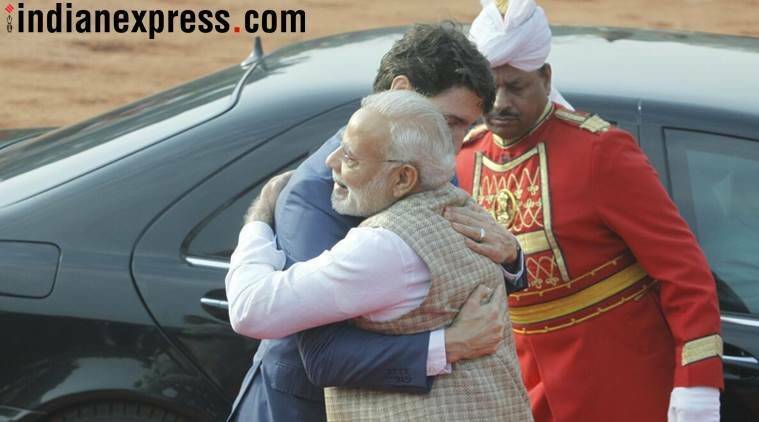 Trudeau made no mention of the challenges that terrorism, extremism and separatism pose but a joint statement on “Framework for Cooperation between India and Canada on Countering Terrorism and Violent Extremism” was issued later. It said that “the framework is based on fundamental respect for the sovereignty, unity and territorial integrity of India and Canada”. It also named pro-Khalistan groups Babbar Khalsa International and International Sikh Youth Federation, and identified them as “terrorist groups”. According to the statement, the two countries are “committed to work together to neutralize threats emanating from terrorist groups such as Al Qaida, ISIS, the Haqqani Network, LeT, JeM, Babbar Khalsa International, and the International Sikh Youth Federation”. In April 2015, the joint statement had not mentioned any of the terrorist groups, including the pro-Khalistan groups. It said “terrorism, extremism and radicalisation” posed security challenges to peace, stability and prosperity. Trudeau’s visit has been clouded by the perception that he has been given the cold shoulder. What also embarrassed Canada was the invitation to a convicted Khalistani supporter to a reception hosted by the Canadian High Commission in New Delhi and Mumbai. After the bilateral meeting, the two sides signed six pacts, including one on energy cooperation. Trudeau described the meeting as “productive”, and called India a “natural partner” and a “trusted friend” on economic cooperation. In his remarks, the thrust was on the economic relationship. “We have discussed on how we can work together and can benefit from each other,” he said, adding that the deals concluded earlier this week would create 5,800 jobs in Canada. Modi said they have also asked officials of their countries to re-double efforts to finalise the bilateral free trade agreement. “To realize the full potential of bilateral trade and investment, both sides will renew efforts to expand and diversify bilateral economic and commercial relations. They will also intensify negotiations to finalize a Comprehensive Economic Partnership Agreement and a Bilateral Foreign Investment Promotion and Protection Agreement,” the joint statement said. The two leaders also discussed the situation in Maldives, apart from Afghanistan, North Korea and Indo-Pacific. “The two leaders expressed strong concern about recent developments in Maldives and their implications for a free society. As leaders of parliamentary systems, they deplored the degradation of judicial independence and authority and of democratic institutions, as well as respect for fundamental freedoms, including those of speech and assembly, constitutional rights and obligations under international law. The Government of Maldives was urged to ensure early resumption of the political process after revoking the state of emergency and to allow democratic institutions, including the judiciary, to function independently in a fair and transparent manner,” the statement said. The Rohingya refugees crisis also figured in the discussions. The joint statement said that the two leaders discussed the humanitarian and security crisis in Rakhine state of Myanmar and across the border in Bangladesh. 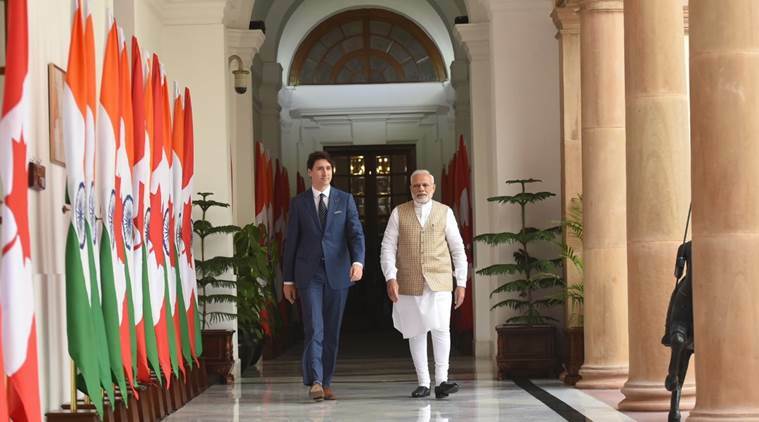 “Canada and India call for the voluntary, safe and sustainable return of the people displaced, while stressing the importance of ensuring law and order and respect for human dignity in this process. They called for restoration of humanitarian access for relevant UN and other international organisations to facilitate the return process,” it said.